Brad Bernstein is a director, co-founder, Chief Executive Officer and President of FlexShopper, Inc, a financial, technology Company that enables consumers without cash or good credit, to get durable goods on a lease-to-own basis through multiple online channels. Mr. Bernstein served as Chief Financial Officer of the Company from January 2007 through December 2014 at which time he became Chief Executive Officer. Previously, Mr. Bernstein was employed by Preferred Labor LLC from March 1999 through January, 2007. Mr. Bernstein served Preferred as its Chief Financial Officer and later as its President. On January 31, 2007, Mr. Bernstein became a full-time employee of FlexShopper. Before joining Preferred Labor he was a partner of Miller, Ellin Consulting Group, LLP where his practice focused on evaluating the financial performa1nce, internal control structure and quality of prospective commercial borrowers’ assets before commercial and investment banks provided credit facilities. 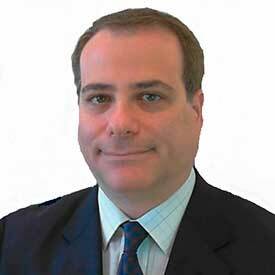 Mr. Bernstein brings to FlexShopper’s Board his financial and business expertise as a Certified Public Accountant. Mr. Bernstein received a Bachelor of Arts degree from Columbia University.